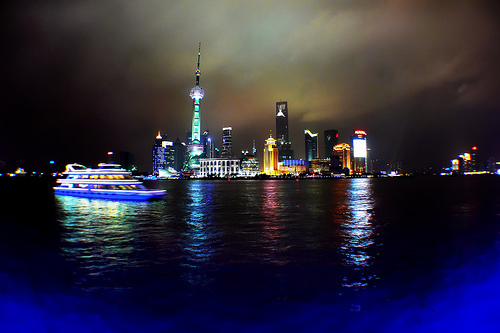 These additional cities are also on sale to Shanghai for under $860. 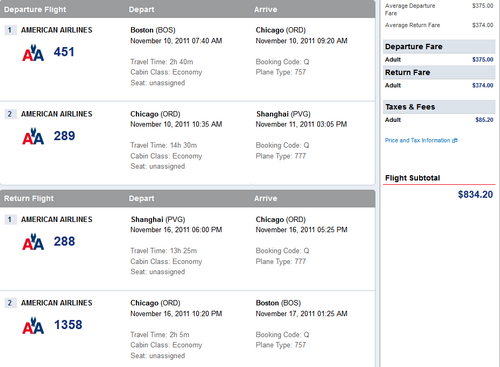 CITY – ORD (Chicago) – PVG (Shanghai) – ORD – CITY. Can also route via Los Angeles from certain cities. Sample mileage only from Boston – since there’s so many cities on sale. 15,847 miles or 5.4 cents per mile. If you have more travel plans with American next year, this would be a good fare to do the Gold Challenge. With Gold status with American, you would save on check baggage until February 2013, receive priority checkin, security and boarding along with 25% mileage bonus.